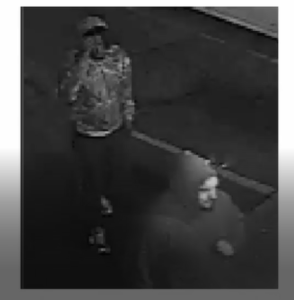 On June 2nd around 11:11 pm, 2 men entered the Be-One Restaurant at 2016 Maryland Avenue. Both men walked up to the register, one pointed a gun at the store employee and demanded money. Once they got the cash they fled on foot. Anyone with information on this crime is asked to contact Metro Crime Stoppers by calling 1-866-7-LOCK UP. You can also submit a tip to MCS through the Baltimore City Police app, select Crime Stoppers to be eligible for a reward of up to $2,000.